I’m Teaching Writing to the Whole 5th Grade — Now What?! I received this note in a Facebook message: I had big changes in my classroom assignment this year… moved from 2nd grade to 5th… turns out… after getting there I got the assignment of teaching writing to the entire 5th grade…. not what I really signed up for…. I have not only NEVER formally taught writing (as a process) beyond complete sentences… and moving toward paragraphs…. but I never even had a class in in it in college….. any suggestions on where to start and where to go with it? I will have 4 units of 12 days each during the year with each of the 5th grade classes….. suggestions? Say you had to analyze the tone, what adjective would you use? concerned? riled? desperate? beseeching? I could write an entire post on why the kind of changes this teacher has had thrust upon her is so disrespectful to her as an educator, as a professional. But I won’t. I just needed to say that. Of course, I answered, and I will offer support and help any way I can. You would, too. Writer’s notebooks. I use the black composition notebooks. Students cover them, personalize them, and make them mean something other than just a notebook for school. We write in them every day as a way to explore our thinking. I might give a prompt, or read a poem, or watch a news clip…whatever, and then I ask students to think and respond. These quickwrites become places to mine for ideas for topics we might develop into more formal pieces. Writer’s notebooks are required and loved in writing classes where students have choice and autonomy, two important components of effective writing instruction. Mentor Texts. Mentors are texts that look like the writing I want students to practice. For example, if we are writing narrative, I want students to read good narrative writing. If we are writing book reviews, we need to study the structure of book reviews, etc. The authors of these mentors become our “writing coaches.” We study the moves the writers make, and then we try to make those moves in our own writing. Students learn from good models. They do not learn from poor, fix-the-grammar-and-punctuation worksheets or anything of that ilk. Research on that is plentiful. Choice. When students have choice in the topics they write about, they are more apt to take ownership and care about their writing. Just like you and me — we do not want told what books we have to read, TV shows we have to watch, or essays we must write that show we learned something from pd. Topics matter so much to the effort students will put into their writing. We have to let students choose what they want to spend their time focusing on. Sometimes we need to nudge them. Sometimes we need to help them narrow the topic. But they need to always have a choice if we want to really teach them anything about writing. Save the formal test-like prompts for practice after students learn how to mine for ideas and develop those ideas in writing they want to do. Test writing can serve as a genre in itself later. Time. Schedule time within the school day for kids to write. Let them know you are there to help. When they write with us, 1) we know they are writing and not a friend or parent, 2) we see their process and know where the struggles are. Modeling. 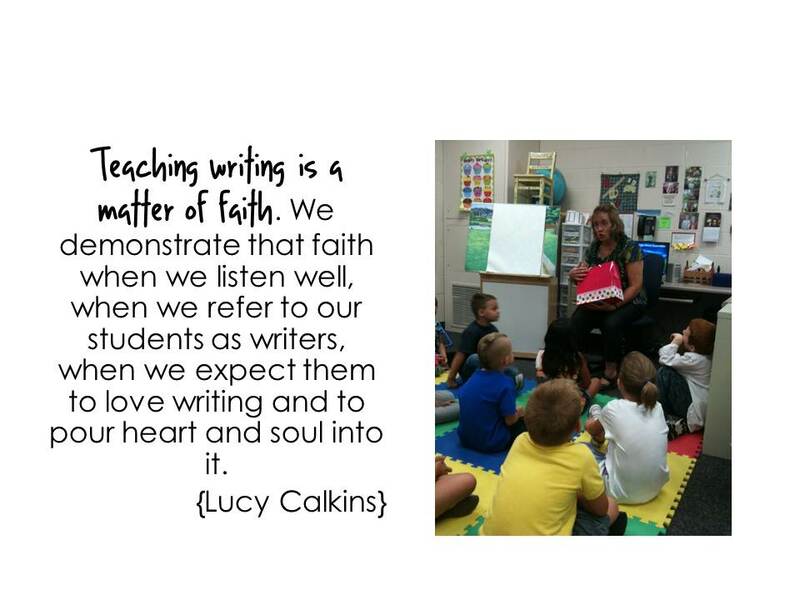 Write in front of your students. This is probably the most effective instructional tool you have. Students need to see the messiness of the writing process. They need to know it is hard — even for a teacher. I try to write every assignment I ask my students to write. I start writing in front of them and let them see my thinking, my errors, my revision, my re-organization, all of it. Too many student writers think they should be able to write well in a one shot in the dark deal. That’s why they refuse to revise. We have to show them that writing is difficult and confusing and time consuming. We have to give them opportunities to see the struggle, so we can convince them that the work is worth it when we’ve finally been able to say what we want and need to say in our writing. Talking. “Writing floats on a sea of talk,” I heard Penny Kittle say. Talk with students about their ideas, their process, their everything concerning writing. Encourage them to talk with one another. Talk and Write. Read and Talk and Write. Talking works to stimulate thinking and provoke the pen to action. Celebrating. Feedback matters, even at the sentence level. Invite students to share their writing. This can be a sentence or a complete piece. Celebrating good writing along the way is a more effective feedback tool than a grade at the end of publication. Whips Around the Room that invite all students to share a favorite sentence or passage, Author’s Chairs that invite students to read a best draft, Posting on Blogs and inviting students to read one another’s work and leave comments, are all ways to celebrate writing — and help students understand the importance of audience. The Nerdy Book Club — a community of readers (and teachers of readers) — read about books, reading, writing, and more! I imagine you are overwhelmed. No, I cannot really imagine. I do know that you are smart though, and you love children and teaching. 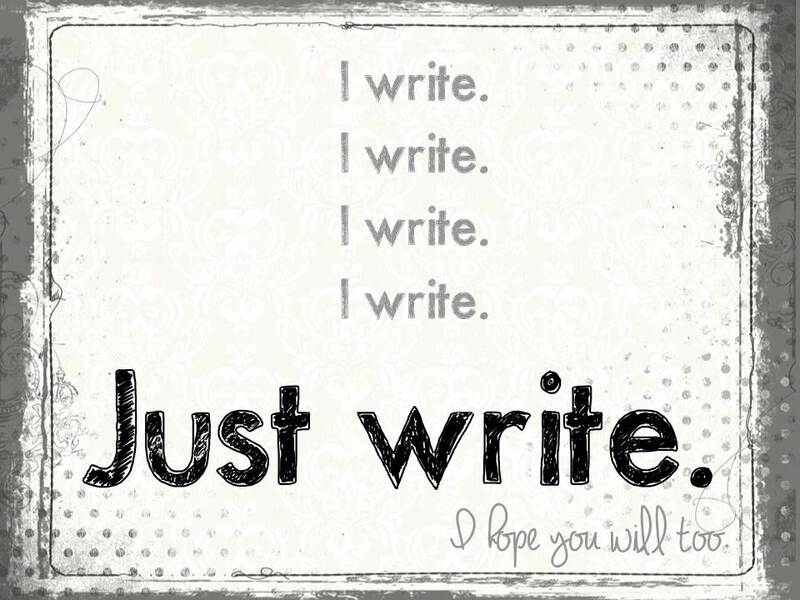 You will do a wonderful job inspiring students to write — that is half the battle. The learning comes from doing. Get your students writing. The more they write the better they will write. I see it every year. Did I leave anything out? What advice do you have for this emerging writing teacher? I am currently in a 5th grade assignment after years outside the classroom. It’s been a most difficult time but your post gave me hope on two levels. First, your humanity diminishes my feeling of “solitary confinement” with no personal support other than the generalized support in favor of meeting the district and site administrators’ intended outcomes. Secondly, sharing your knowledge has increased my confidence level. While I realize it will take work, and lots of it, you offer tools that I can use tomorrow in my classroom. Thank you! That is exactly the jump in grades that I did AND I taught ALL of language arts to my fifth graders, albeit, a significantly fewer number of students! I used poetry as an entry to writing….PERIOD and introduced a very structured paragraph form at the beginning: opening sentence/introductory sentence; 3 supporting detail sentences; closing/summary sentence. I used a graphic organizer for this. AND I simply had them WRITE and WRITE and WRITE. I needed this myself. It seems like even though we “know” we’re teaching from year to year, there are so many administrivia details that settle in like a fog on a well-known road, making us question (rightfully so) if we are where we think we are. It becomes easy to lose perspective and our sense of location, and that’s when accidents happen. There IS at least one bright side. I, too, am teaching two brand-new-to-me preps, and I find that I have the advantage of looking at everything with new eyes and having to go through the evaluative process, asking myself 1) What do they need to know how to do? 2) Does this assignment move them toward that mastery? 3) Does this assignment or activity align with my teaching philosophy and understanding of best practices? 4) What is possible? I can’t take credit for those questions. I had a fabulous coach a few years ago who taught me to filter everything through those questions. It is easy when we return to an established prep (either that we have taught ourselves or inherited from someone else) to simply go through the motions because it takes less time. However, when we are forced to sift through each activity, we can wrap our passion around what really resonates and is good for kids and find alternatives for the other. Sadly, her overwhelmedness is not unique among educators. That doesn’t help her situation, but hopefully she knows that she is not being singled out – it is a systemic problem that the gulf between administrators and the educators continues to widen as sight of the demands on the classroom teacher becomes more and more blurry the further away from the classroom the administration is. It is encouraging that this teacher took ownership for her new situation and felt confident to reach out and get support. That is the sign of a teacher who wants to have a productive and dynamic classroom. I’m more worried about all the teachers who are undergoing this sort of fruit-basket-turnover who are NOT asking for help!